Xenon : a new generation of self-propelled sprayers! 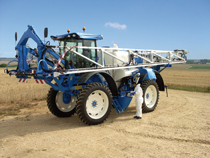 In 2012 MATROT added the Xenon to their line of self-propelled sprayers. This unit responds to the ever increasing need of farmers for higher output and technicity. 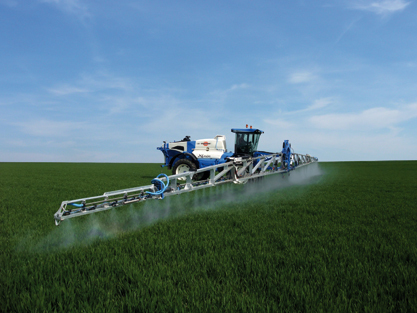 With its large main tank capacity (4300 or 5200 liters) and its large booms (up to 50 meters), the Xenon sets a new standard on the front boom sprayer merket. The Xenon is available in two versions: the Xenon Expert and Xenon Pro . Xenon Expert features high end spray controls and offers an unrivalled degree of automation. and automotism. 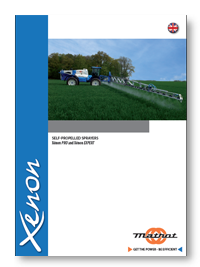 The Xenon Pro is the enrty level version offering simle and proven spray controls. TClick on the respective logos to find out more. Stabilis. My Xenon is equiped with the Stabilis option. I really sense the difference with my former sprayer : now, it is easier and much safer to operate in difficult conditions. With this system I have even been able to sow on difficult cross slopes, thus allowing quicker sowing operations at great fuel efficiency! Motorised valves. Matrot offer even more automation! 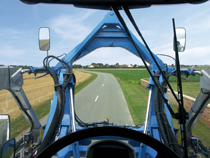 All valve settings have been sequenced and can easily be controlled from the cab. Visibility. The Xenon features a widened front frame allowing unparalleled on road visibility. Thanks to a series of small assets(frame and boom position, shape of the tank, choice of the cab, ...). the Xénon is easy to handle despite it's dimensions! High end seat for extra comfort.The cabin offers a comfortable working environment en great ergonomics. The cabins is soundproff and all function controls are within arms reach. Three point suspension of the chassis with double layered air bellows which are individually filled by means of levelling valves.